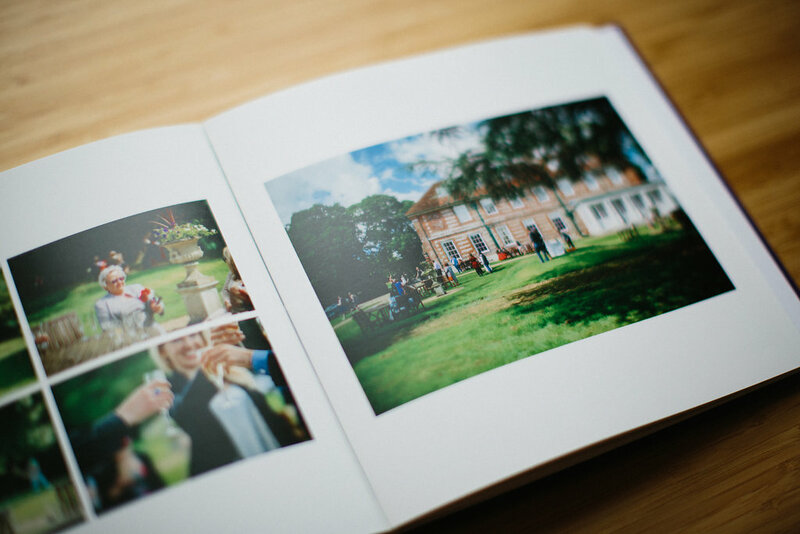 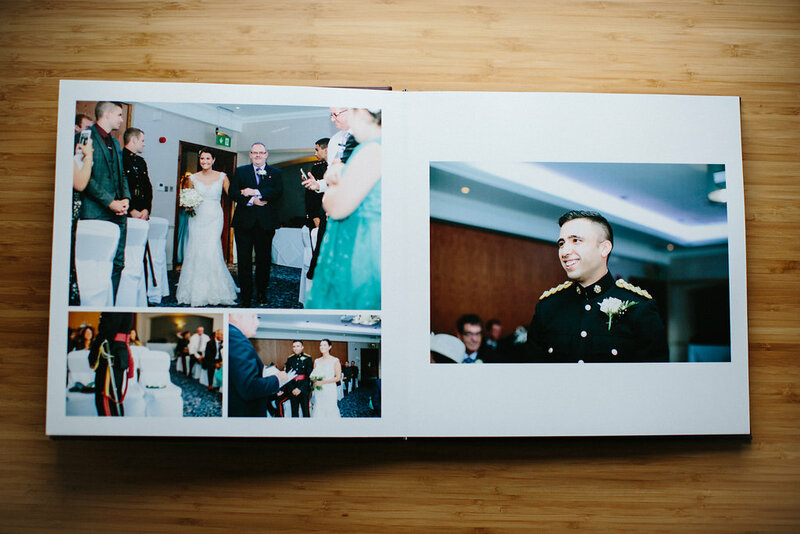 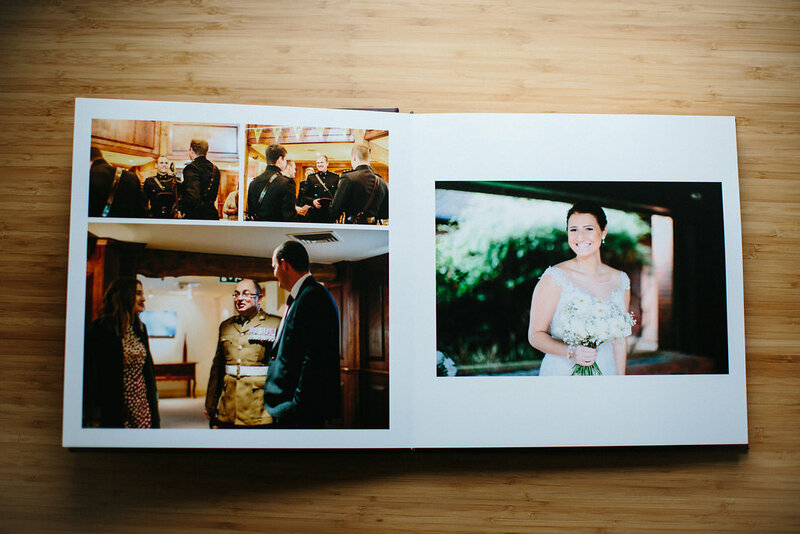 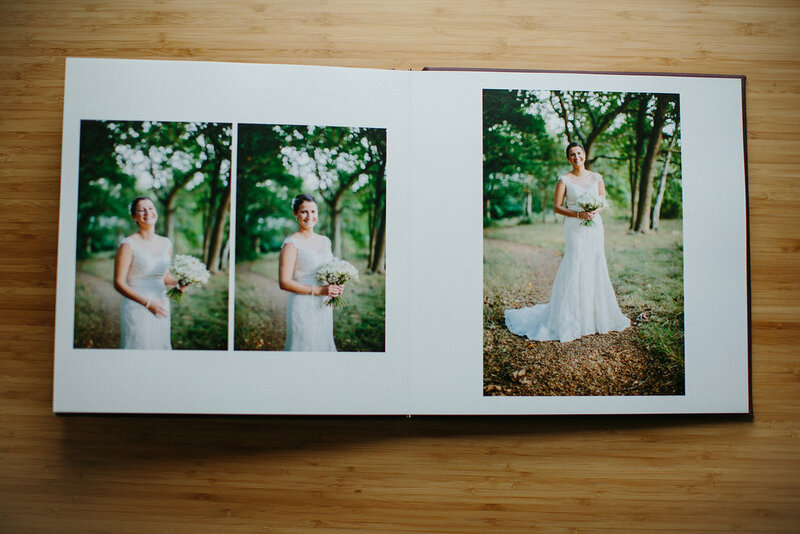 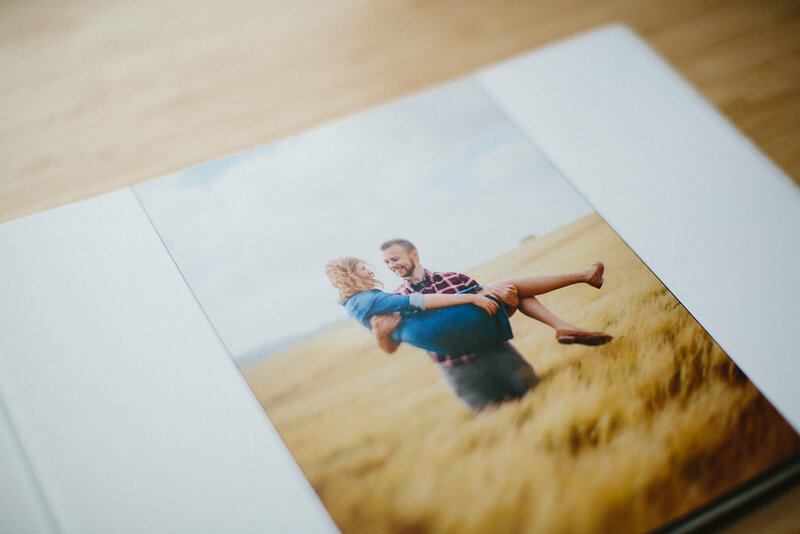 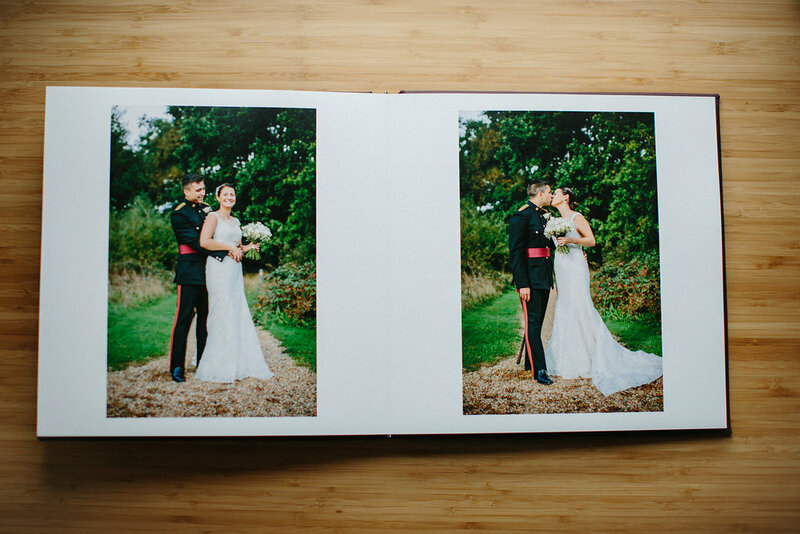 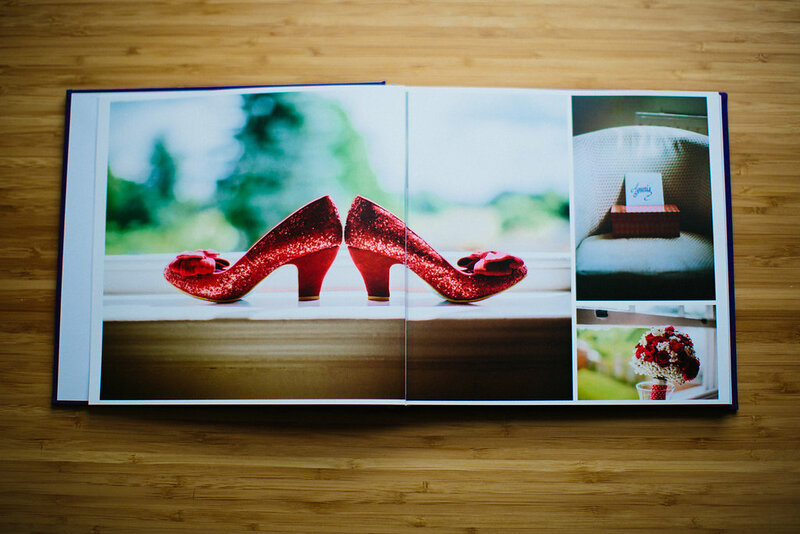 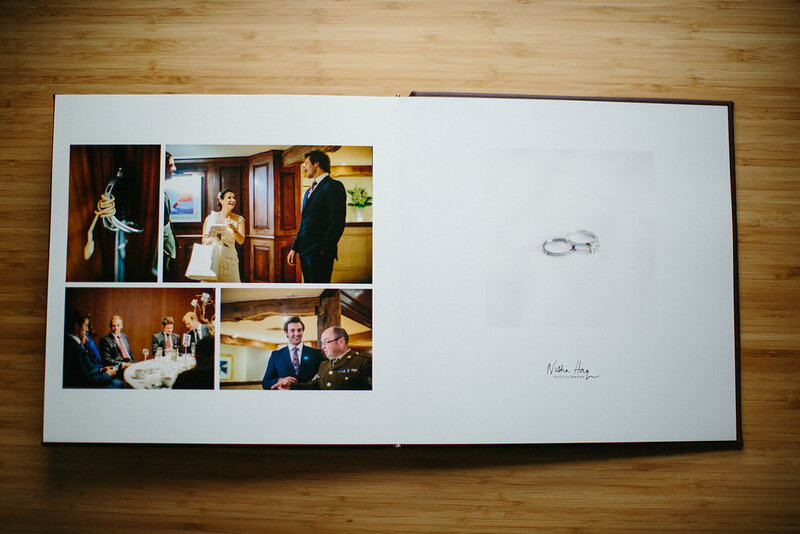 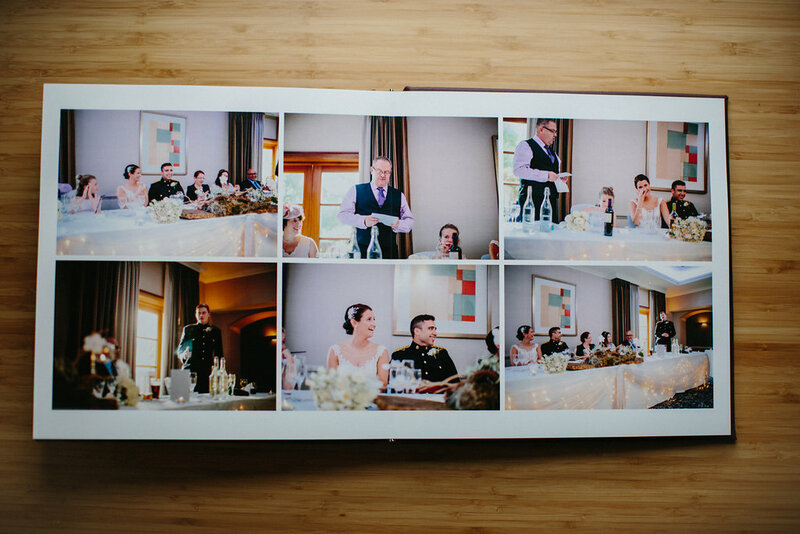 Display your beautiful wedding photos in this stunning luxurious layflat 12x12" large leather bound Heirloom Album. 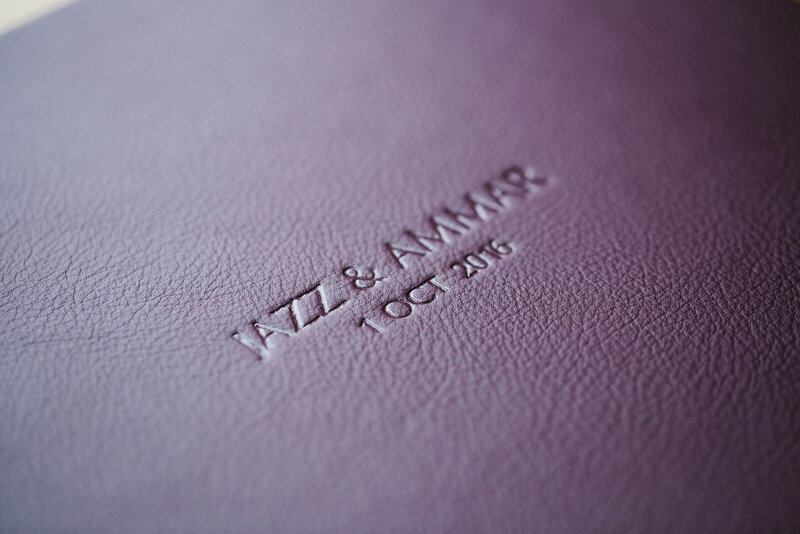 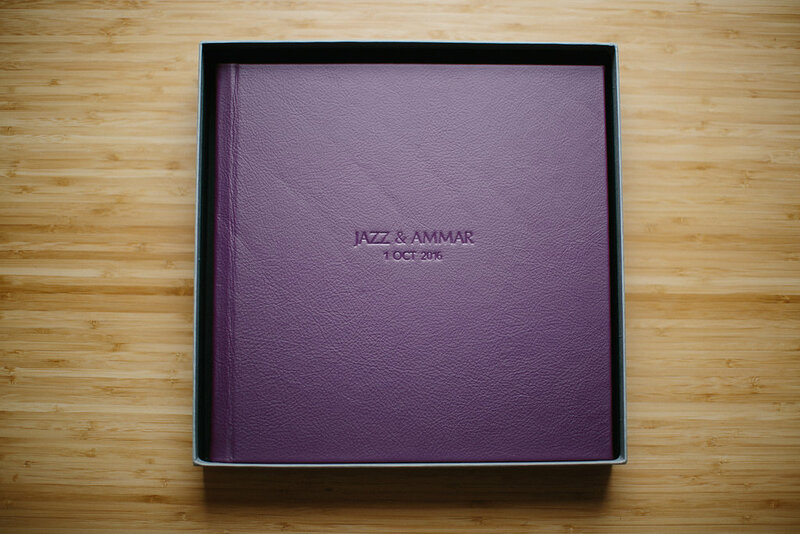 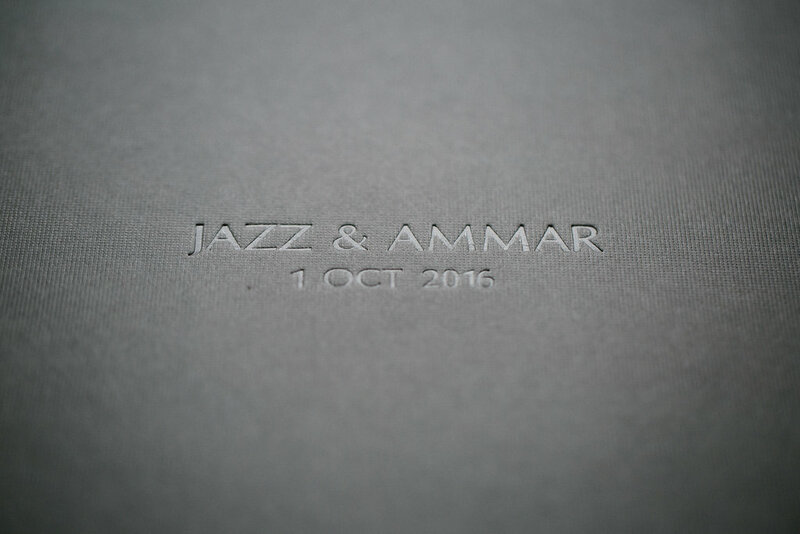 Made by master craftsman, this bespoke album wonderfully narrates your special day with personalised embossing of your names and date on the cover. 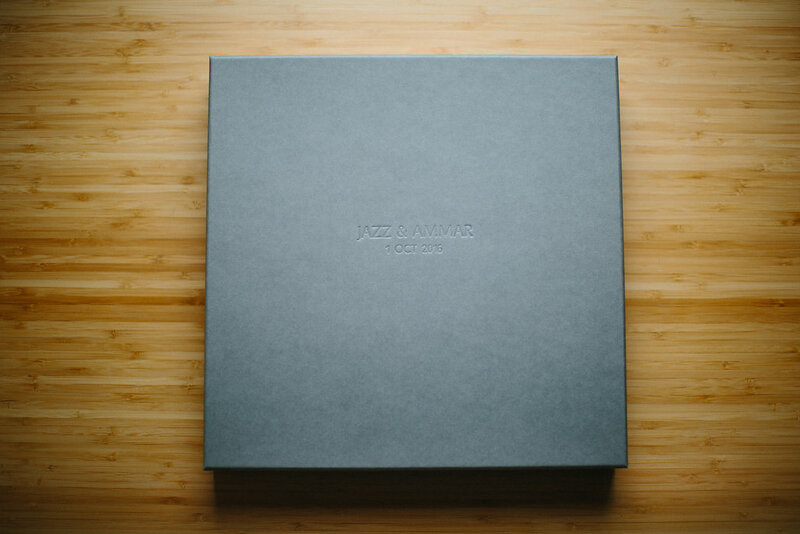 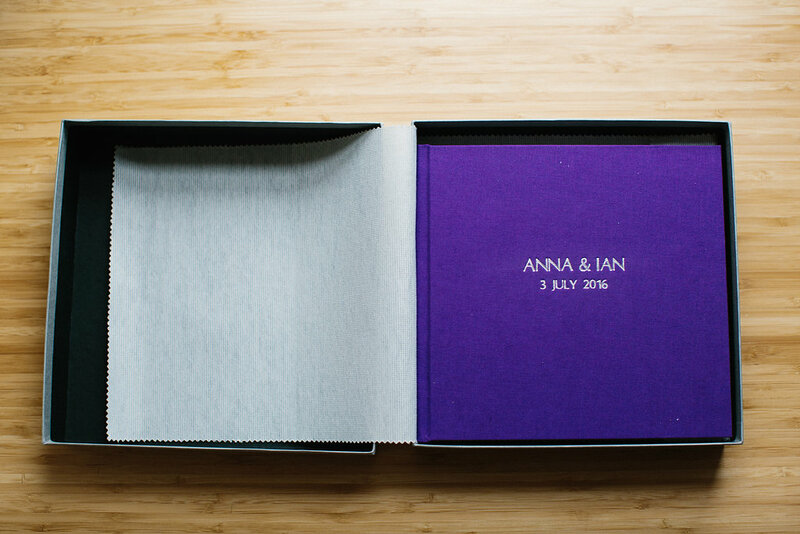 Presented in a protective embossed box. 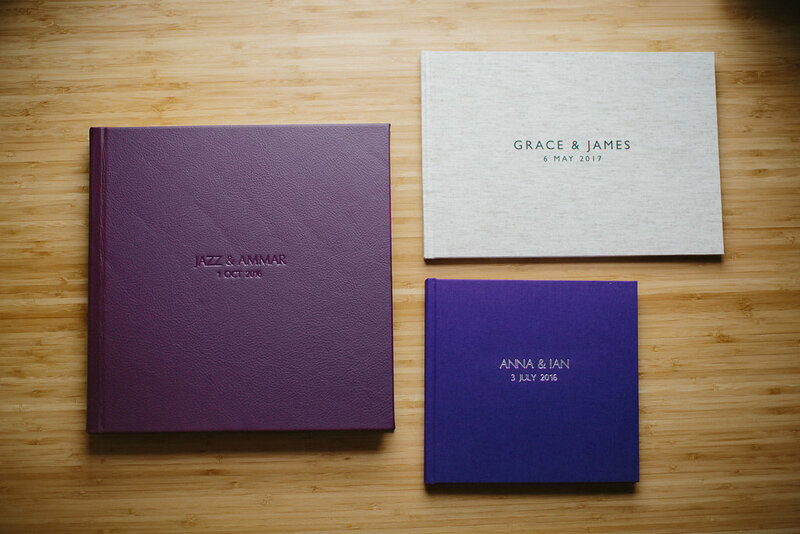 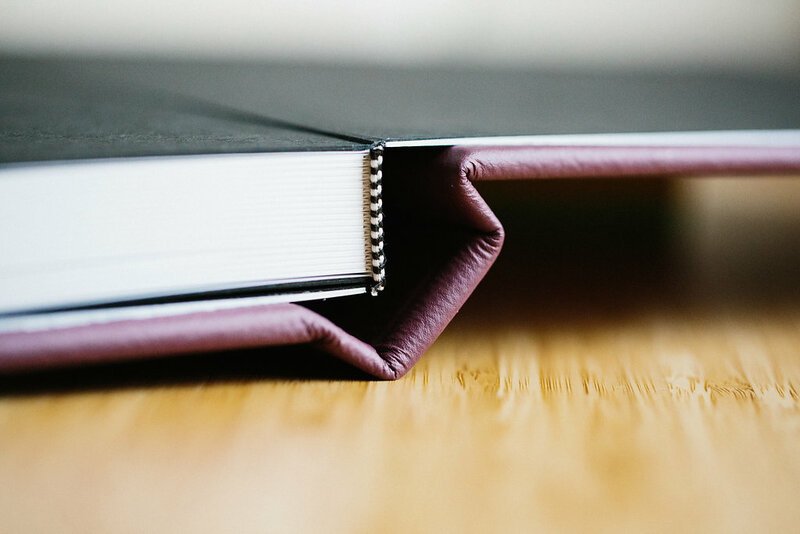 the Heirloom Album comes in a range of stylish leather colours (options also available in linen). 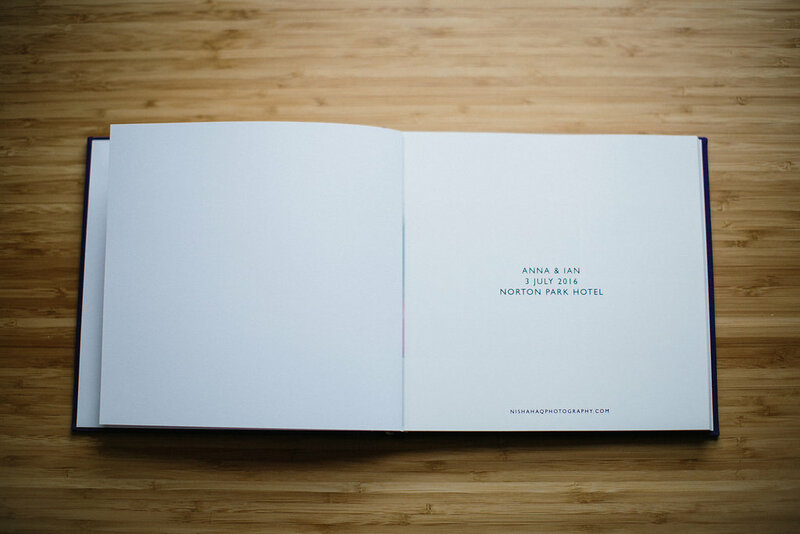 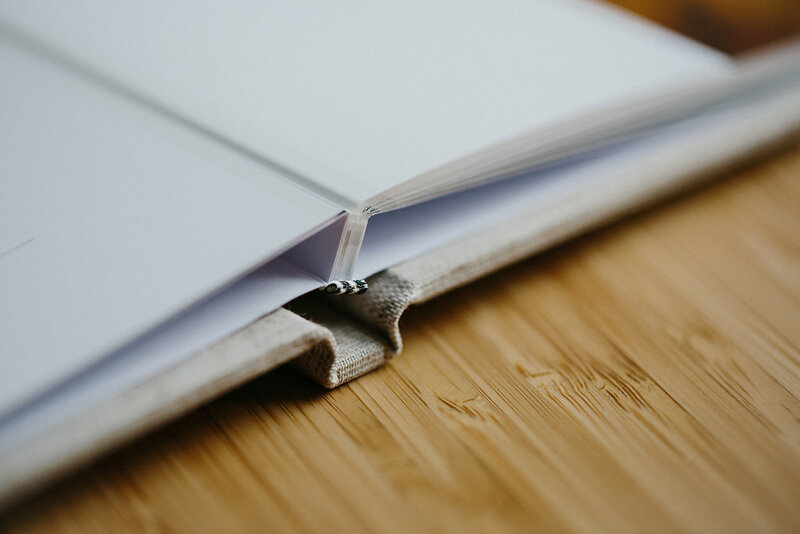 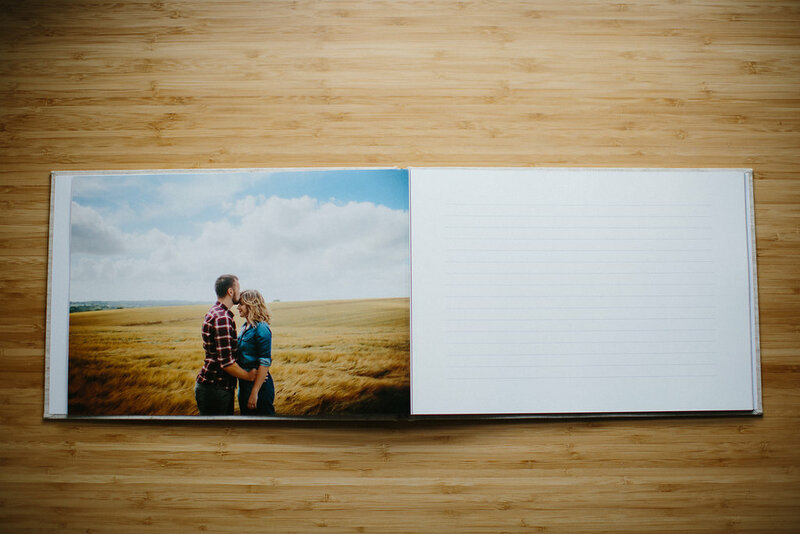 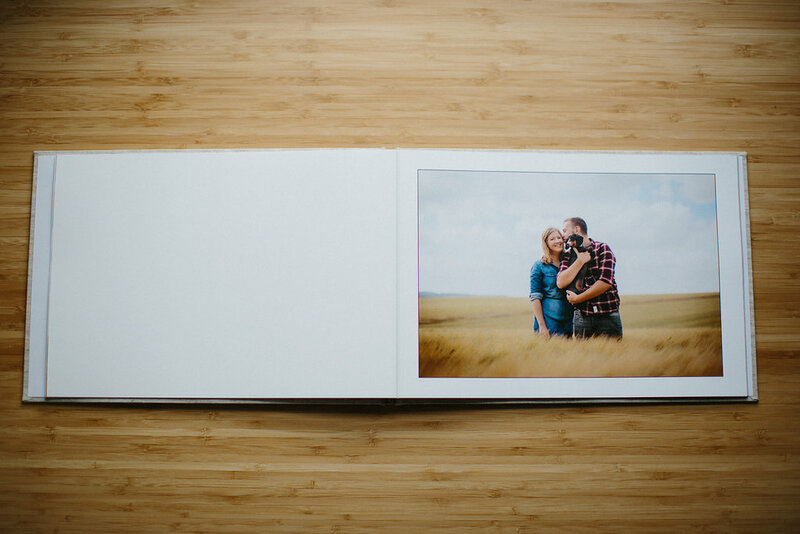 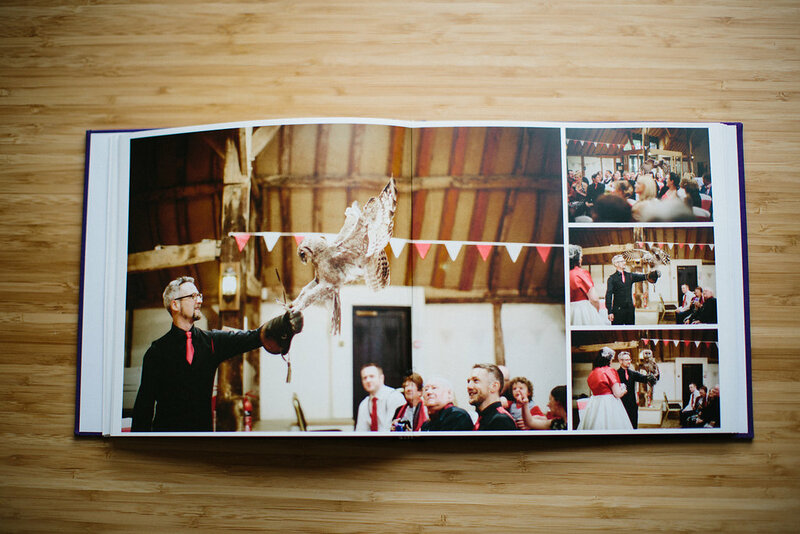 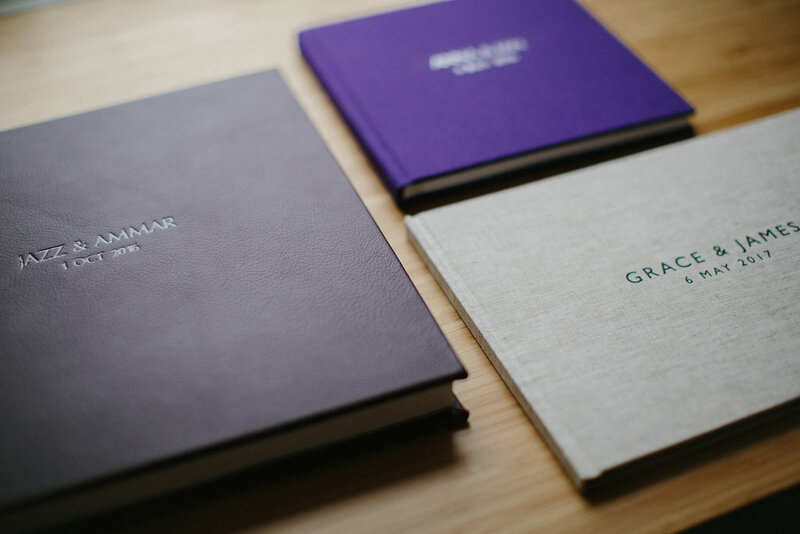 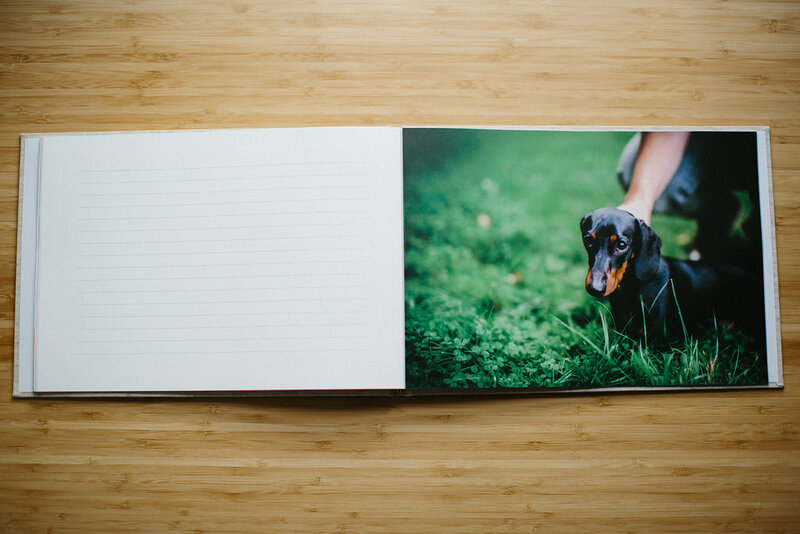 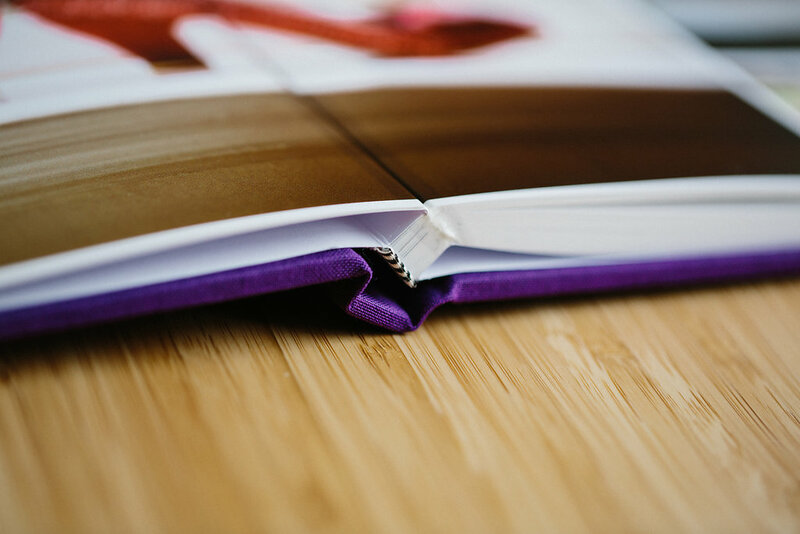 More pages, 12x12" book and leather covers available - please contact for more details. 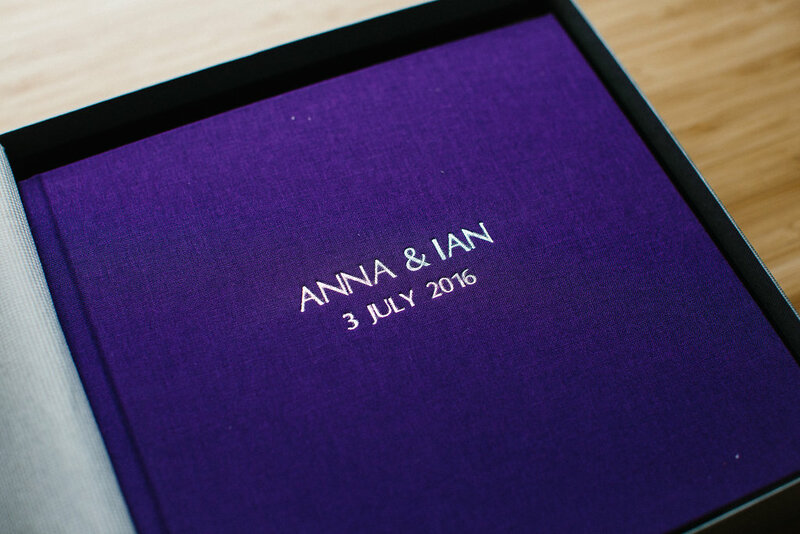 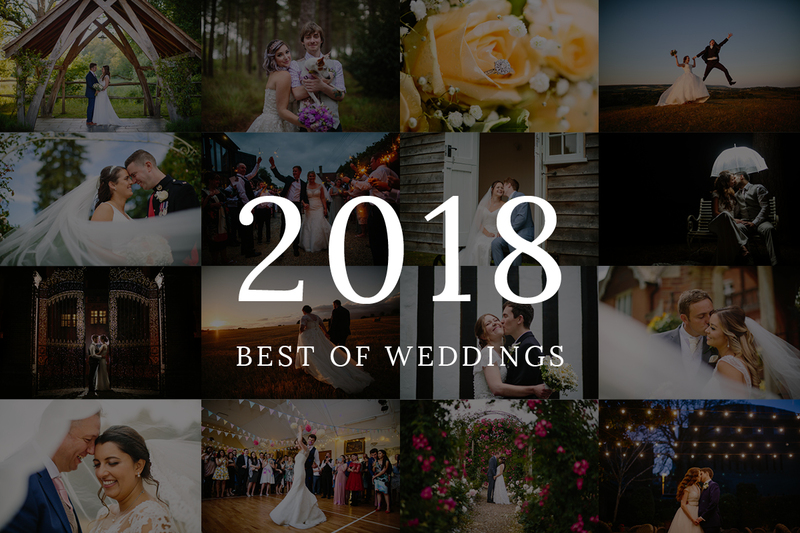 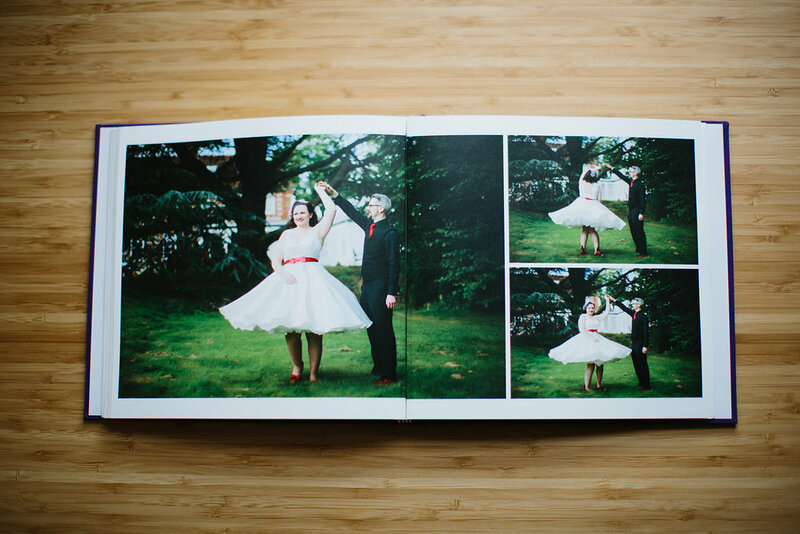 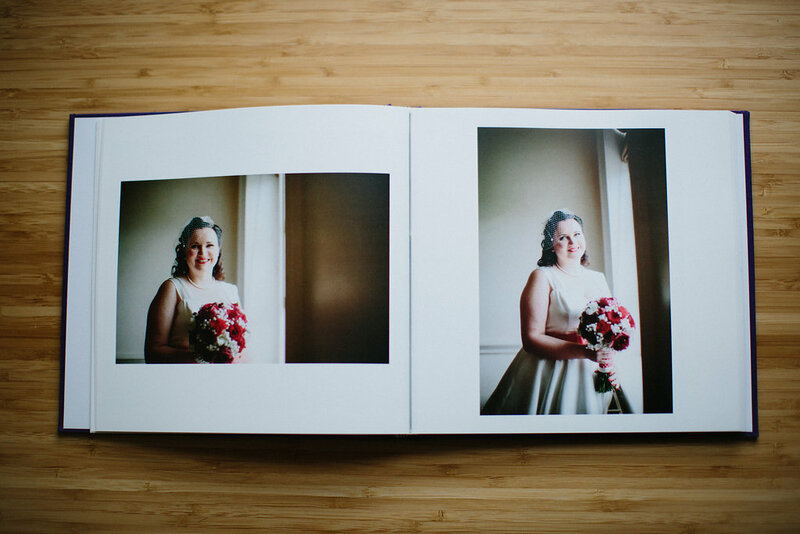 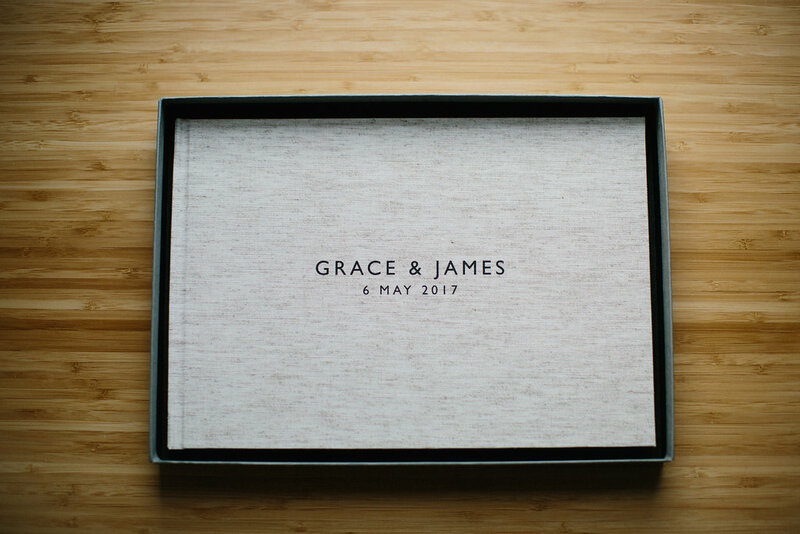 Showcase your gorgeous wedding photos in this elegant layflat coffee table book linen bound in a range of stylish colours as well as personalised foiling/embossing of your names and date and protective box. 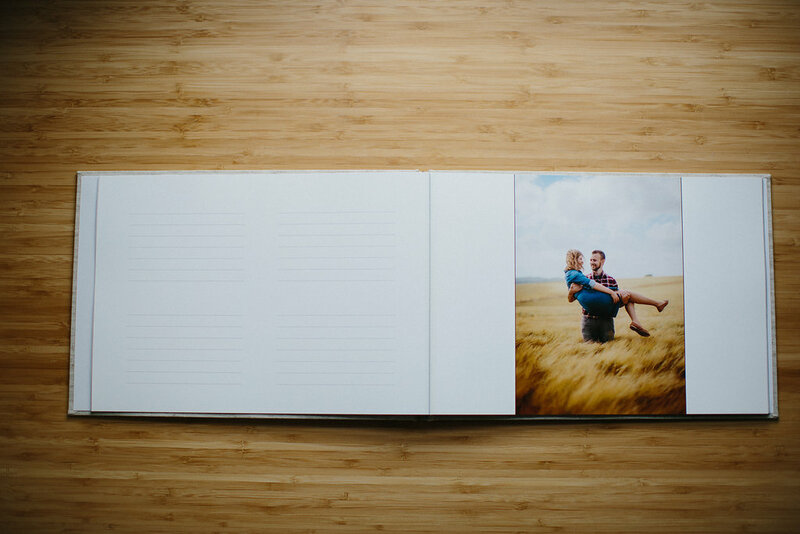 More pages, 10x10"" book and leather covers available - please contact for more details. 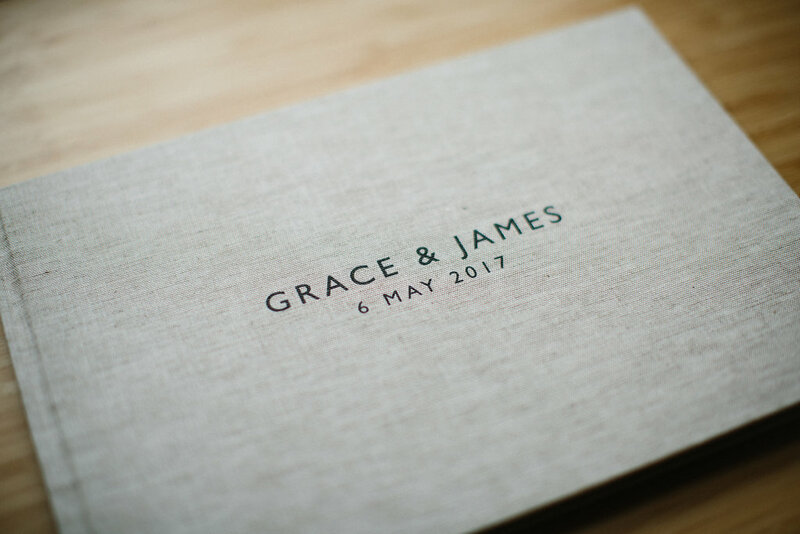 Have guests write lovely messages on your wedding day featuring your stunning engagement photos in a beautiful linen bound hardback signing book including personalised name and date and protective box.